Dr. Pitman's technical areas of expertise include computational radiative transfer modeling, remote sensing and hyperspectral analysis, and spectroscopy and refractive index determination at ultraviolet to far-infrared wavelengths. She specializes in interpreting surface and atmospheric spectral signatures for Mars, outer Solar System moons, and asteroids and in performing laboratory astrophysics experiments to infer the makeup of interstellar dust in support of NASA and NSF. She holds a Ph.D. in Physics from Louisiana State University and an A.B. in Astronomy and Geology from Vassar College. 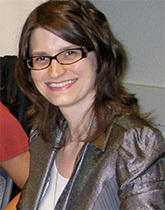 Previously she worked at Planetary Science Institute, Washington University - St. Louis in the Department of Earth & Planetary Sciences, as a NASA Postdoctoral Program fellow and affiliate contractor at the Jet Propulsion Laboratory, California Institute of Technology, and as a graduate research assistant at SSI where her career began. Dr. Pitman has an active leadership and service record in the American Astronomical Society, the American Geophysical Union, and the American Physical Society, with a focus on professional development, demographics, and the science, technology, engineering, and mathematics (STEM) employment pipeline. She is a featured scientist on the NASA Solar System Exploration website), the 51 Women in Planetary Science project, and the American Physical Society Women Speaker's Program.